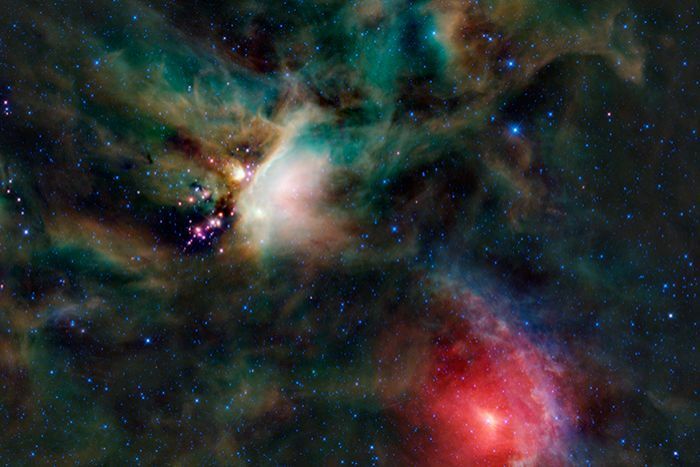 From exquisite images of the centre of the Milky Way to the discovery of oxygen in the atmosphere of planet Mars, NASA's star-gazing missions above New Zealand are uncovering secrets of the hidden universe. Each winter, a radically modified Boeing 747 aircraft arrives at Christchurch airport from the US with NASA and German space scientists on board. 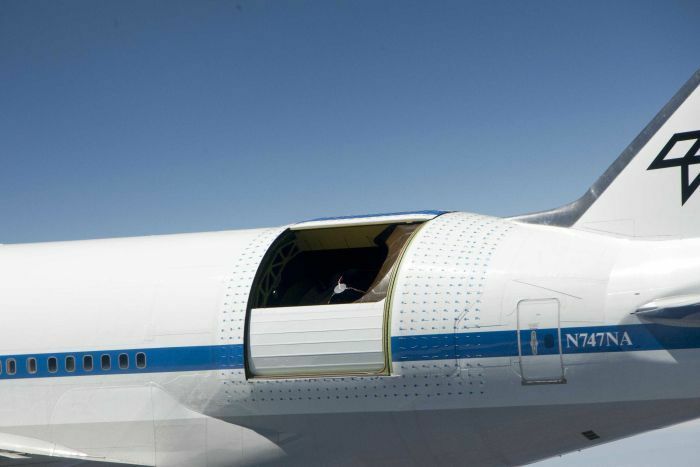 In its fuselage, a massive hole has been cut to accommodate a 2.5-metre telescope hiding behind a sliding door that rolls down soon after take-off, to open a view of the heavens. Mission Control sits in the refurbished economy section of the old Pan Am jet, with row upon row of computer terminals. 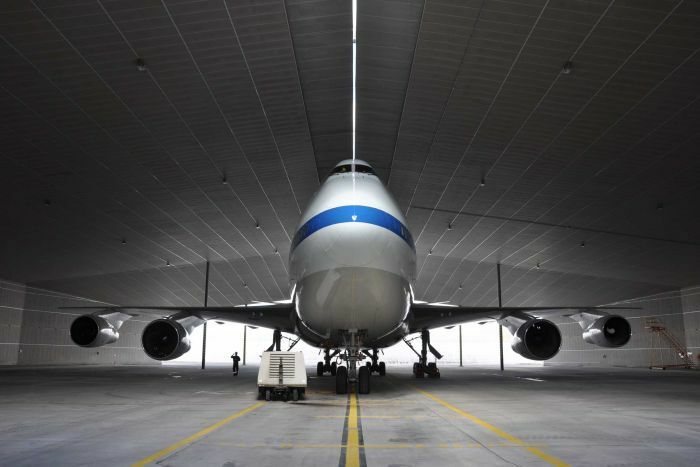 Endearingly called the Stratospheric Observatory for Infrared Astronomy (SOFIA), it is the world's largest airborne observatory. And for this mission, I took off on its most recent flight through the stratosphere. It is amazing to strap in, knowing I am heading 13 kilometres up into the night sky, away from my son sleeping at home, to the furthest I will ever go from Earth. "The SOFIA mission is the latest incarnation of airborne astronomy," science operations manager James De Buizer said, as we took off. SOFIA's job is to track the part of the night sky that is invisible to us on Earth. Like police hunting for a hidden suspect, SOFIA uses infrared technology to create a heat image of the universe. "The whole idea behind why we've been putting telescopes on planes is that we want to observe the infrared part of the spectrum," Dr De Buizer said. Most infrared radiation is blocked from reaching the ground by water vapour in the Earth's atmosphere, and to get above this layer, SOFIA has to reach the stratosphere. New Zealand was chosen as the launch site because many cosmic objects can only be seen from the southern hemisphere. This includes our nearest galactic neighbours, the Magellanic Clouds, and many interstellar spaces where stars and planets are born. Our target on this voyage is a very bright star called Fomalhaut, known in astronomy as the Loneliest Star, as it sits right out on its own in the night sky. The star is 25 light years from Earth, and is famous for being the first to be discovered with an observable planet orbiting around it, like the planets that go around our own sun. SOFIA's scientists honed in on the disc of cosmic debris that surrounds Fomalhaut. "By studying stars with these discs around them at various stages of life we can put together an evolution — a story of how these materials, which are left over after their birth, form into the planetary systems that we see, and ultimately form solar systems like ours," Dr De Buizer explained. 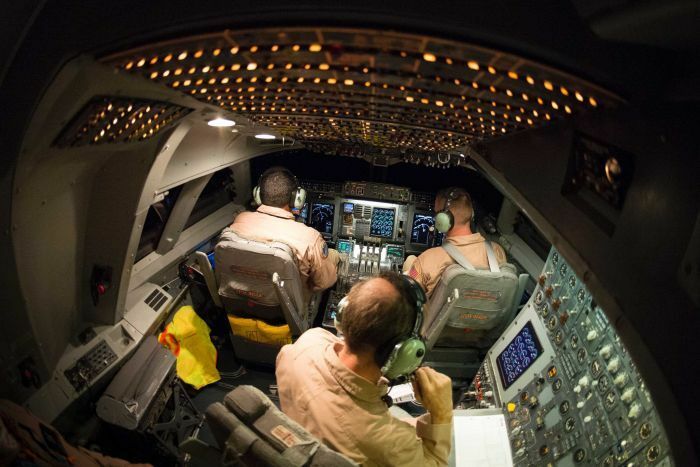 The scientists and crew on the flight are a well-practised team. Pilot Frank Batteas has flown for NASA for 18 years in many different planes. Many of the 10-strong team have clocked thousands of hours in the stratosphere. Like gang members, they wear patches to show off the number of SOFIA flights they have done. "The space between stars is not empty, it's a rich hunting ground that keeps us very interested," German astrophysicist Hans Zinnecker, the deputy director of SOFIA's science missions, said. During each southern hemisphere campaign, the scientists and crew spend many weeks together, away from home, flying their nightly missions and making discoveries about new-born stars and planets. Plugged into headsets, they joke about the space yetis and UFOs they have spotted. But they have not lost their sense of amazement at what they really can detect up above the stratosphere. "At infrared wavelengths four to five times longer than what you can see with the naked eye, you start to pick up the heat emissions from objects, rather than the reflected light from a sun or a star," Dr De Buizer said. 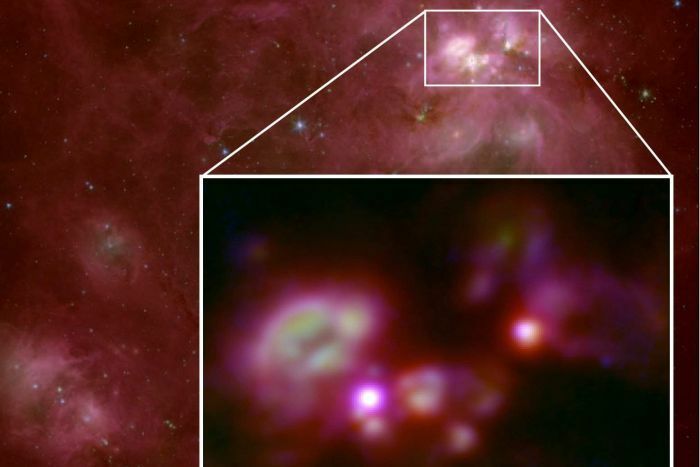 Infrared opens a window into obscure regions of the universe. "If you want to look at places where stars are forming and where they are surrounded by dust and gas, not enough light can get through for us to see them," he said. "But by using these long wavelengths we can penetrate through the cloud of dust and gas and see what's going on." Over the course of its missions, SOFIA has observed many different types of objects, including asteroids and comets. It has explored planets in the outer reaches of our solar system — such as Jupiter and its moons, and Pluto's "occultations" — when the dwarf planet moves in front of a star and casts a shadow across Earth. Already, the flying telescope has detected new molecules that help explain how water is formed in space and how that is linked to the water in Earth's oceans. With a pointing accuracy equivalent to watching a dollar coin from a one-kilometre distance, there are more spectacular discoveries ahead for SOFIA, Dr Zinnecker said. "Ultimately what we'd like to explain is the origin of life on earth: Where does the material come from that is here on Earth, that formed life? Did that come from up there?" he asked.